Even though mammography is the most widely used screening method for chest cancer, there are a number of valid arguments for alternative methods. Research has shown that mammograms are not the definitive answer to early detection, and in fact, can often cause more problems than they solve. So what is wrong with mammography? John W. Gofman, M.D., Ph.D., an authority on the effects of ionizing radiation, spent 30 years studying the effects of low-dose radiation on humans, much like that given in a mammogram. He estimated that 75% of chest cancers could be prevented by avoiding or minimizing exposure to ionizing radiation from mammography, x-rays, and other medical devices. In addition to exposing a woman to harmful radiation, the actual mammography procedure, compressing the chest, may help spread an existing mass of cancer cells, causing them to metastasize from the chest tissue. A Swedish study of 60,000 women aged 40-64, who were screened for chest cancer, revealed that of the 726 who were referred to an oncologist for treatment, 70% of them were found to be cancer free. According to the Lancet, of the 5% of mammograms that suggest further testing, as high as 93% show up as false positives. Due to the fact that many of these tests produce false positives, they can lead to many unnecessary biopsies and other invasive medical procedures. In truth, biopsies performed for 70% to 80% of all positive mammograms do not show any presence of cancer. According to some estimates, 90% of these call backs are because of unclear readings due to dense overlying chest tissue. While false positives cause unnecessary stress and medical intervention, false negatives can be fatal. The chest tissue of women under 40 is generally denser; it is therefore more difficult to detect tumors by mammography. For women aged 40-49, the National Cancer Institute notes there is a high incidence of missed tumors, and that 40% of tests come out as false-negatives. Estrogen replacement therapy (ERT) obscures mammogram results. According to a study of 8,800 postmenopausal women aged 50 and older, the use of ERT leads to a 71% increased chance of receiving a false positive from a mammogram. It was also found that women on ERT were more likely to get more false-negative readings. 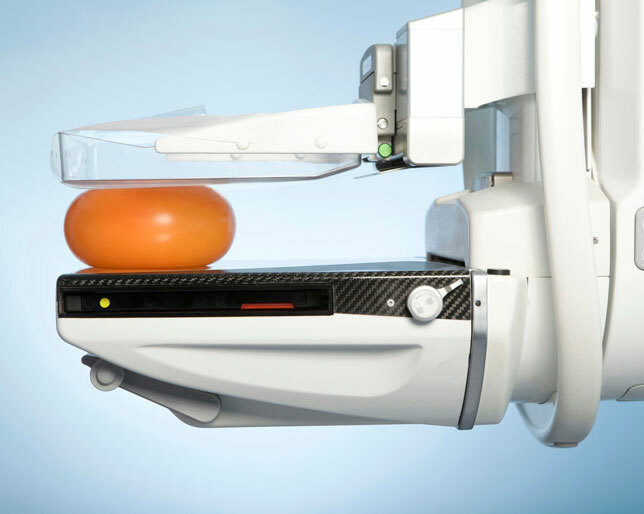 Mammography may also miss tumors measuring less than 2 cm in diameter; however, a tumor can be felt manually once it reaches 1 cm in diameter (and often even smaller) through proper self-examination. For this reason, many medical experts believe that self-examination is the most effective, safest, and least expensive method of detecting early stages of chest cancer. Safer methods of chest cancer screening are becoming available, such as thermography, which uses infrared heat emissions to detect cancer, rather than radiation. Should one have a confirmed case of chest cancer, it becomes vitally important to avoid all the daily habits that cause (and facilitate) cancer growth, and to incorporate a clean and plant based diet that is full of anti-cancer properties and nutrients.